The average clutch size for Little Owls is 3 – 4 eggs which puts our pair at the top end of this scale as they have just laid their fourth egg. We have some mild weather on its way so once again fingers crossed! 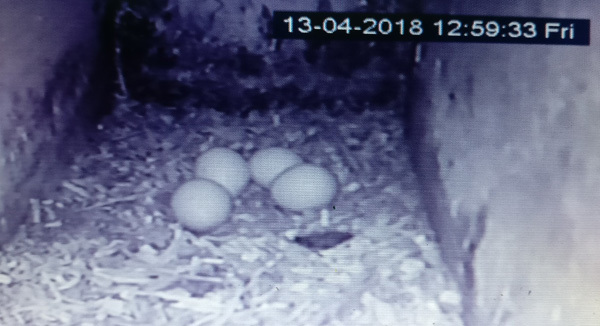 The fourth Little Owl egg laid near the Arglam Grange wildlife photography hide.